DermMedica is your home for skin care in Kelowna. For years, we’ve offered the latest skin care treatments for the most common and serious skin conditions alike. We hope that you’ll come to us when you have skin problems. A single appointment with Dr. Crippen is all it takes to understand what we have to offer you. 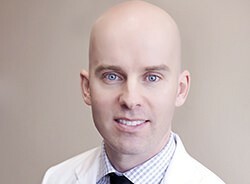 Dr. Crippen is one of the most experienced skin care professionals in British Columbia, especially when it comes to treatments with lasers and Botox. Conditions that can be easily treated include everything from skin discoloration and moles to signs of aging such as wrinkles. We would love to speak with you about any of the skin care treatments that we have to offer at our clinic. We can talk to you about our skin care treatments, our vein clinic treatments and other solutions for your biggest skin problems. Schedule an appointment today to set up a treatment plan and appointment. We strive to offer all of the treatments that are necessary to keep skin looking its best at all times. However, we do believe there is a right way to go about skin care. Nearly all of the treatments at our skin rejuvenation clinic are non-invasive. That means no surgery and no serious downtime to heal and recover. We want you to walk out of your appointment already feeling better. You can find all sorts of skin care treatments at our Kelowna skin care clinic. We have so many treatments available that it’s often better just to start with your condition. Schedule an appointment to talk to us about what you need from your skin. We’ll tell you how we can best help. This skin rejuvenating treatment is perfect for any conditions where you want to bring fresh young skin cells to the front, especially when the current surface cells are damaged or discolored. This simple procedure can be completed in little more than half-an-hour, and there’s usually no downtime involved at all for your normal activities. It’s a light treatment that can be effective at stimulating the growth of new collagen. Lasers have part of a complete revolution in skin care over the past ten years, and DermMedica’s own Dr. Crippen has been in front of it the whole time. Today, DermMedica has almost a dozen different lasers available for use, and we can closely match the right one to the condition that is giving you trouble. Like all of our treatments, our laser treatments are non-invasive and have low recovery times. When improving the look of skin, sometimes more is needed than changing the color. We use fillers by injection to treat many common skin problems including wrinkles and volume issues. Botox and Juvederm are the fillers we use most commonly at the clinic, and we use them all over the face and body. Applications include treatment for thin lips, hyperhidrosis and many other conditions. Skin care doesn’t start at the clinic doors. You can prevent a lot of problems and cultivate great skin just by maintaining strong daily habits. There are skin care products out there that we are happy to recommend. You can find some of them posted right here on this site. Some of the excellent options include SkinMedica, Cellex-C and Elta-MD sunscreens. Makeup that also has skin care benefits is the best of both worlds, and that’s just what you get with the Colorescience makeup and skin care products. Make Sure You’re Protecting Your Skin. Prepare for the Sun: Sun exposure is very likely the largest contributor to skin problems. It’s implicated in everything from rosacea to cancer, and any discoloration may be the result of sun damage. Protecting yourself from the sun begins with wearing the right protection. You should always be using the proper sunscreen for the weather, and staying out of direct sunlight when possible. Watch for the Signs: Your skin is good at telling you what it needs. You should always pay close attention to the state of your skin and how it’s reacting to the different products you use. If you notice your skin is reddened, or itchy or dry, it could be a sign of a problem that needs to be addressed. Address Problems Immediately: If you want to really care for your skin, you need to make sure that you’re having skincare problems addressed as soon as they show up. Some conditions are far easier to treat when they’re in the early stages. What Skin Care Habits Do You Often Recommend to People You Have Treated? The most important aspect to skin care products is consistency and using good quality products that are tested to be effective. Cleansing, toning, moisturizing and of course Vitamins A, C and retinol are all very important. What Sunscreen Do You Recommend for Skin Protection During the Summer? Our two most popular and effective sunscreens are our EltaMD line as well as our SkinMedica total defence sunscreen. Do You Offer Preventative Skincare Treatments? Absolutely, there are many preventative treatments for your skin beyond skin care products. What Skin Care Treatments Do You Recommend for Skin That Constantly Looks and Feels Dry? The key here is to not dry out your skin with a harsher-than-needed cleanser and using a good quality moisturizer that works well with your skin. What Skin Care Treatment Do You Recommend for Skin That Looks Unpleasantly Reddened? Redness is a sign of irritation or inflammation. There are many potential causes. Sometimes skin care products are needed, other times laser treatments are the best option for long term results. What Skin Care Treatment Do You Recommend for Frequent Acne Breakouts? A simple regime with a good cleanser, toner, and light moisturizer are key. Our SkinMedica line is an excellent choice for many patients. Can Any of Your Skincare Treatments Help to Create a More Youthful Appearance? Think of skin care products as our preventative tools, while our laser and injectable treatments will correct current damage to the skin. What Should I Bring to My Skincare Consultation at Dermmedica? Bring a list of your current skin care products, your goals and an open mind! We have many options depending on your goals so be prepared to learn quite a lot about your skin and some treatment possibilities. We recommend sunscreens that contain zinc oxide to achieve the best protection from both UV-A and UV-B radiation. Our most popular and cosmetically elegant sunscreens are made by EltaMD as well as SkinMedica. Absolutely, we have a range of skin treatments that can prevent skin cancer, lines & wrinkles, pigmentation change and more. 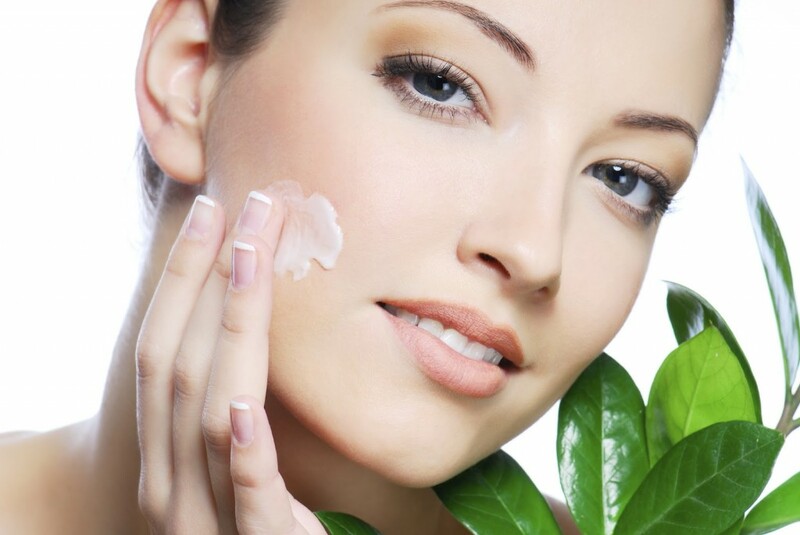 Our skincare products by SkinMedica also contain growth factors which helps skin grow more collagen and elastin. Think of these products as protein shakes for your skin. Depending on the situation we may recommend some skincare products or laser treatments. It is not uncommon for skin as it ages to grow blood vessels near the surface which can give the skin some excessive redness. In these situations, laser treatment is highly effective. The most common reason for acne is either inflammation of the hair follicle or plugging of the hair follicle with excessive or thick oil secretions. We have skin care products that can help keep your pores open and less inflamed. Usually in combination with topical or oral medications we can achieve significant improvements in acne.